Do you need gas fittings installed, repaired or replaced? Whether you need to repair, replace or install a gas appliance, or you want to relocate your gas point to another area in your home, the obvious dangers of working with gas means it is essential that your gas fitting replacement, installation or repair is done by experienced and licensed gas fitting experts who don’t cut corners or compromise on quality. 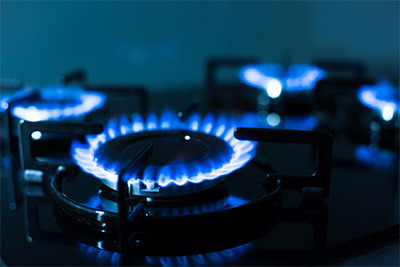 We can install gas appliances such as new gas hotplates, gas ovens and gas stoves, and gas bbqs. Once installed, gas commissioning will be performed to check if the installed gas appliance works properly. We have the right tools required to complete any type of gas fitting job regardless of the brand or model of the gas appliance. Unlike most plumbers we arrive on the job with our van stocked with a large range of high quality gas fitting parts so we’re ready for any repair or replacement job. This means we don’t have to leave the job to get the parts – saving you time and money. Our customers love us for being organised and clean, communicating clearly throughout the job, only using quality products that we 100% believe in, never cutting corners in any work we do, and providing great ongoing customer care. We can provide advice on the solutions we feel are most suitable for your needs and provide a free estimate. Alternatively, send us an email and we’ll get back to you within 2 business days. If you have any photos that might help, please upload below.